DS418play is equipped with a dual-core 2GHz processor capable of bursting up to 2.5GHz. It comes with 2GB DDR3L memory by default, which is twice the size of its predecessor and expands up to 6GB to enhance multi-tasking operations. Powered by a new hardware transcoding engine, DS418play supports up to two channels of H.265/H.264 4K video transcoding. The processor of DS418play supports AES-NI hardware accelerated encryption. With Link Aggregation enabled, DS418play delivers excellent encrypted data throughput at over 226 MB/s reading and 185 MB/s writing. Users’ digital assets are protected by AES-256 encryption, which allows them to enjoy high-performance data transmission. 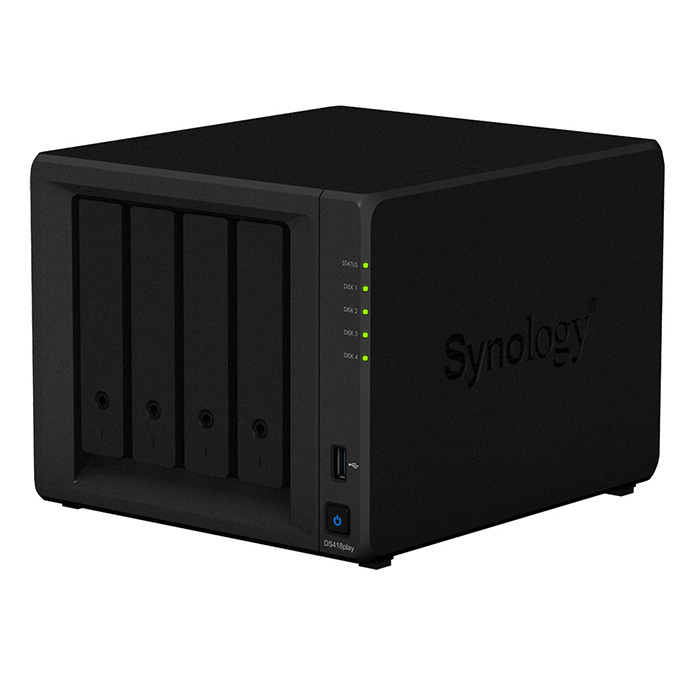 DS418play runs on DiskStation Manager (DSM) 6.1, the advanced and intuitive operating system for Synology NAS devices, with various applications offered to enhance work productivity. Synology has received numerous media accolades, topping the mid-range NAS category in TechTarget’s storage solution survey and winning PC Mag Readers’ Choice seven years in a row.